Customers want it yesterday. Scrum promises it tomorrow. So why aren’t we getting it? What is “it” anyway? 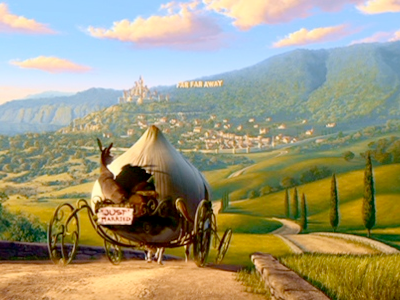 Like Donkey, riding in the back of the garlic coach on the way to Far Far Away in the movie Shrek 2, too many Product Owners are taking a back seat in Scrum by limiting themselves to asking, “Are we there yet?” Little wonder. Decades of “over-the-wall” requirements handoffs and long delays before seeing a working system have left many Product Owners dis-enchanted and ill-prepared to handle the immediate, persistent, and unrelenting demands of a Scrum team. What was “Far Far Away” is now here today and Product Owners aren’t prepared. When acting as ScrumMaster, I’ve found that I spend at least 50% of my time working with the Product Owner and the myriad of stakeholders the Product Owner represents. When you introduce Scrum to a new team, find out who the business sponsor is and make sure she understands the pivotal role that the Product Owner plays. The Product Owner is ultimately accountable for maximizing the return on investment (ROI) for the project. To succeed, the Product Owner must establish and communicate the project vision — the elusive “it” that constitutes real value to a real customer. Then the Product Owner must nurture that vision by frequently inspecting the working features produced by the team and provide timely feedback. When reality deviates from the plan, the Product Owner works to adjust the plan to match reality while keeping the team focused on the vision and holding together the coalition of stakeholders. The days of handing over a requirements document and then sitting back to wait for the delivery team to finish are over. Product Owners don’t belong in the back seat. They must be immediately available to the team. My rule of thumb for a Product Owner is that they must ensure that 80% of the Scum team’s questions are answered within 5 minutes of the question being raised. To achieve this level of responsiveness, the Product Owner really must be engaged and must engage subject matter experts to be available to the team when necessary. This isn’t a role to be taken lightly. Get ready Product Owners because, like Donkey, you definitely aren’t in the swamp anymore.